Arts Access Aotearoa is calling for nominations to the Arts Access Creative New Zealand Arts For All Award 2019. This award recognises a professional performing arts company, literary organisation, festival, venue, producer or gallery that best demonstrates its commitment to building new audiences by becoming more accessible to disabled and Deaf people. The closing date for nominations is 5pm Monday 6 May 2019. The recipient of this award will receive $4000, to be used to progress its work in improving access to disabled audiences. Previous recipients are eligible for nomination after three years have lapsed (e.g. the 2016 recipient is eligible for nomination in 2019) if it has introduced a series of new initiatives not recognised in its previous award. The annual Te Putanga Toi Arts Access Awards, presented by Arts Access Aotearoa, celebrate the contribution of individuals, groups and organisations in providing access to the arts. They also acknowledge the achievements and contribution of a New Zealand-based artist with a physical, sensory or intellectual impairment, or lived experience of mental ill-health. 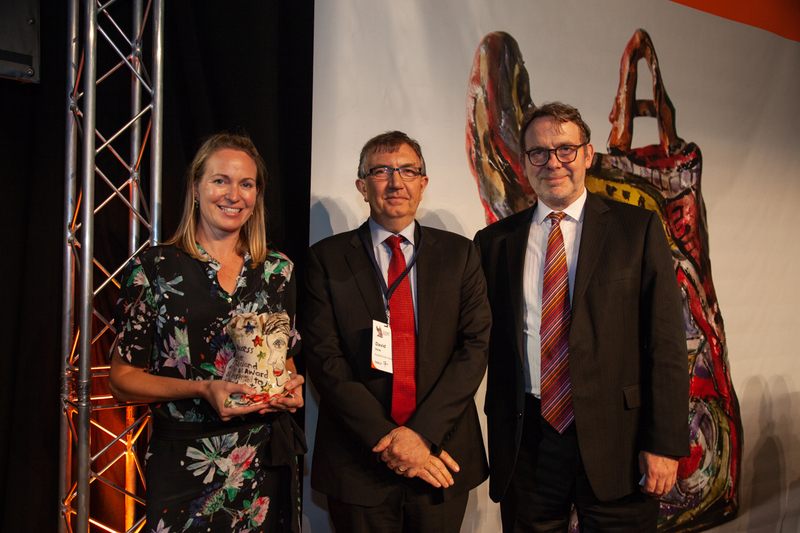 The Arts Access Creative New Zealand Arts For All Award is one of six award categories. Last year’s recipient was the Auckland Arts Festival for its leadership, commitment and engagement with Auckland’s disability communities. The result was a massive 806% increase in ticket sales to the Festival’s 2018 accessible events – up from 47 patrons to the 2017 accessible events to 426 patrons in 2018. Each of the six awards has a nomination form. You are able to nominate yourself or others. You can download the nomination form below or contact Claire Noble at Arts Access Aotearoa (T: 04 802 4349 E: claire.noble@artsaccess.org.nz) for more information. Nominations close at 5pm on Monday 6 May 2019. Original generation time 1.4567 seconds. Cache Loaded in: 0.0006 seconds.